First, you’ll need to figure out where to stay. By booking a boutique hotel suite, you can stay in luxury without breaking the budget. Boutique hotel suites offer personalized care with luxury details like jacuzzi tubs and attentive staff, all while offering the privacy of a home-away-from-home. Boutique hotels are often smaller, with anywhere between 10 to 100 rooms available. They are also located in popular urban areas with nearby restaurants, shops, and attractions that make leaving your hotel suite a breeze. By choosing the right hotel suite, you may find that the atmosphere is nice enough that you won’t want to leave. However, if you do leave, you’ll want to make sure you aren’t wandering aimlessly. Depending on what is most important to you, you may prefer to see New York City as a traditional tourist, complete with booking tours and seeing sites like the Chrysler and Empire State Buildings. If art and culture is more your speed, you won’t want to miss the New York Public Library and Museum of Modern Art. Dining options are limitless — from any cuisine and style you can imagine to ones you probably have not heard of, The Big Apple has them in spades. Be sure to review the neighborhood near where you stay, and always ask the hotel staff for recommendations. Our staff has a number of local favorites. Depending on the day of the week or time of year, our actual suggestions can vary quite drastically. 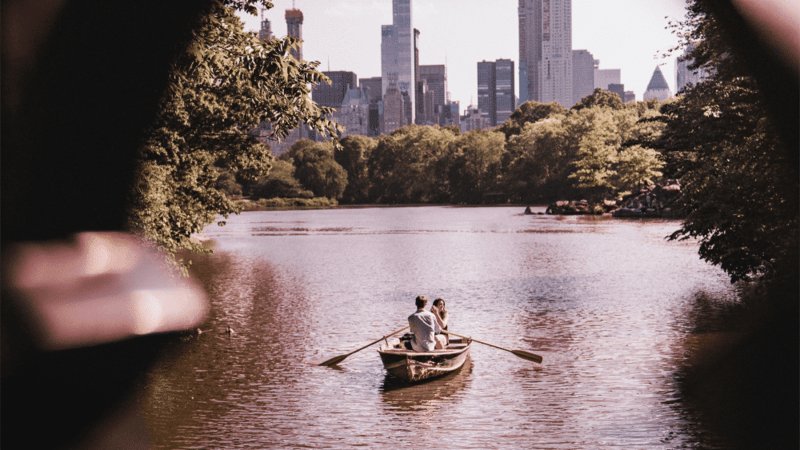 Whether you attack your weekend getaway with a thoroughly-detailed agenda or start each day by asking for suggestions, a weekend in New York City can be an adventure. With limitless dining, shopping, and entertainment options, each day will be different than the last. However you choose to get away, starting with a luxury hotel suite ensures your weekend is starting off in the best way possible.